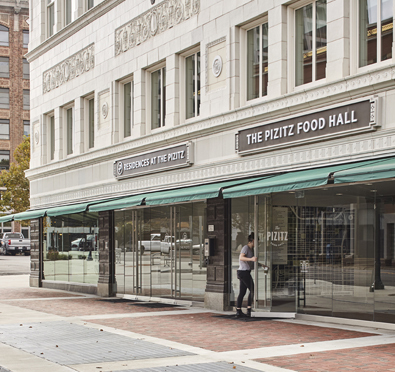 The Pizitz Food Hall is located at the base of the historic 7-story 1923 Pizitz department store building in downtown Birmingham, Alabama. Undergoing a complete remodel and face-lift by another architect, including restoration of the terra cotta façade, the upper ﬂoors of the building are being converted to apartments. 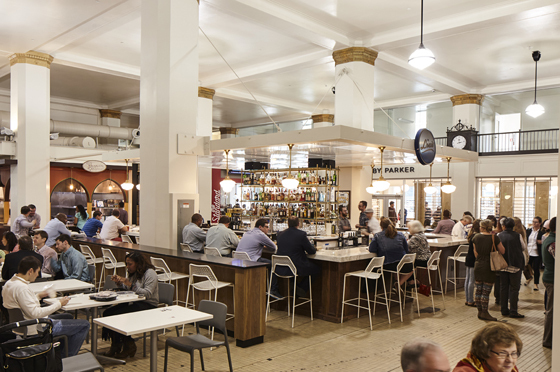 Bayer Properties turned to RJTR to design the layout, shell space and infrastructure for the street level Food Hall. The Food Hall focuses on chef-inspired ethnic cuisine and contains 14 food stalls, three restaurants, two retail shops and a central bar.